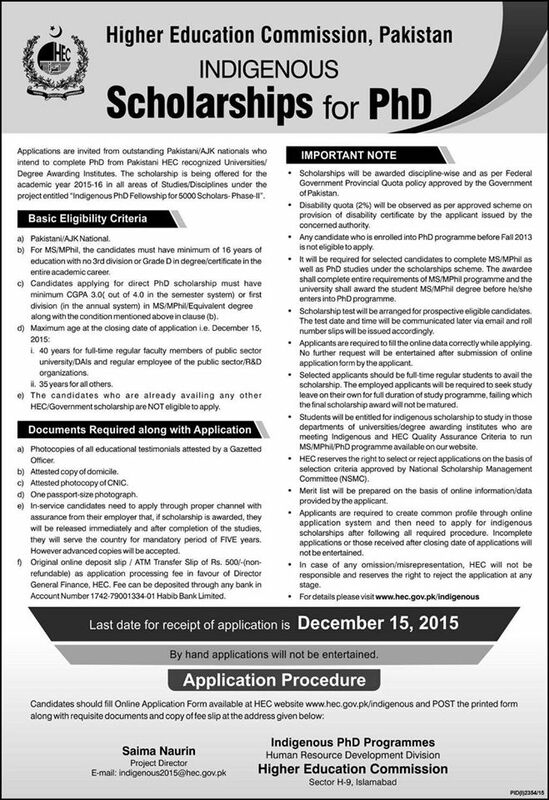 The Higher Education Commission of Pakistan (HEC) is offering Indigenous fellowships for MS/M.Phil/PhD students. 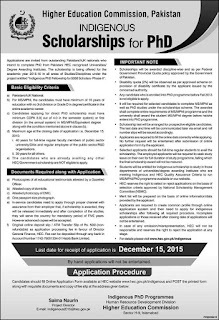 These scholarships are offering for local students who want to pursue their MS/M.Phil/PhD degree program in different universities of Pakistan. HEC is aiming in various ways by offering these programs as it will furbish Pakistani students to complete their higher studies with international research standard. Applicants are free to choose any field of study for their MS/M.Phil/PhD degree study. Candidate must have minimum 16 years of education with no 3rd division or Grade D in degree. Submit the filled application form with all necessary documents attached with that form before the final date of submission. Applications which will be received after the deadline will not be entertained. Buddy4Study features a variety of scholarships such as government scholarships, national scholarships, scholarships for women, merit as well as means-based scholarships and several others.